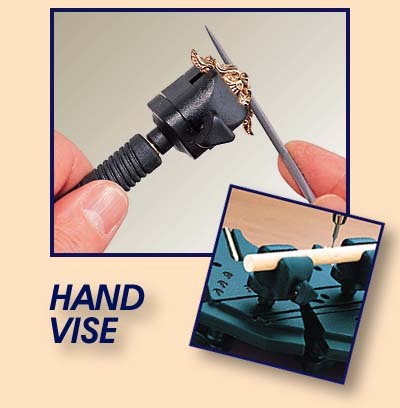 Amati 7396/01 Fine Hand Vice! This useful vise is indispensable to hold small details while working on them. This vise can be be fixed either to the Planet, or to the Gripper or onto the Action handle.